"heavy investment in...digital marketing...should be matched with proper stocking up of pens and paper" I take the point but that's a lot of stationery! 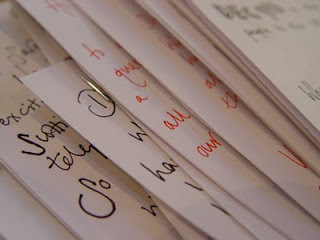 There is something compelling about receiving a hand written letter - it's more personable. My aim is to delight my customers often and realistically that's only possible using digital tech. But when you want to really pleasantly surprise service users a hand written note is hard to beat.